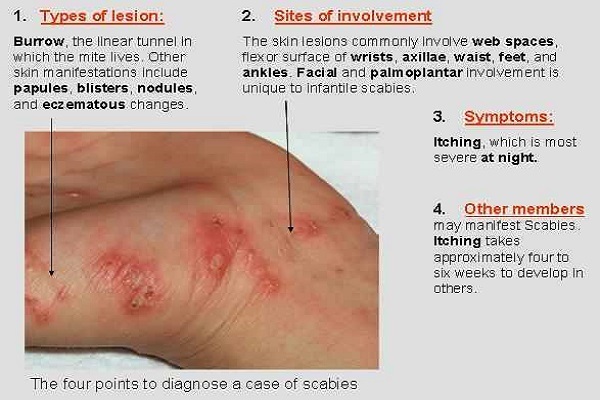 Scabies is a highly contagious form of skin disease that is caused by the itch mite Sarcoptes scabiei. These 8-legged mites penetrate into the skin and lay eggs which spread the disease further. The most common symptom of scabies is the skin breaking out in rashes with there being a constant urge to scratch the skin. The itching generally worsens during the night. The most commonly affected areas are the space between fingers, elbows, wrists, genital area, buttocks, knees and the sides of the feet. Direct contact between persons is responsible for the transmission of the disease. Scabies can be cured by simple home remedies but since this disease spreads fast, it is necessary to contain it. In certain cases when the disease spirals out of control it becomes necessary to consult a doctor so as to prevent further exacerbation of the disease. There are certain tried and tested home remedies which have proved very effective against scabies, some of which are listed below. In scabies, the mites burrow into the skin and lay eggs. 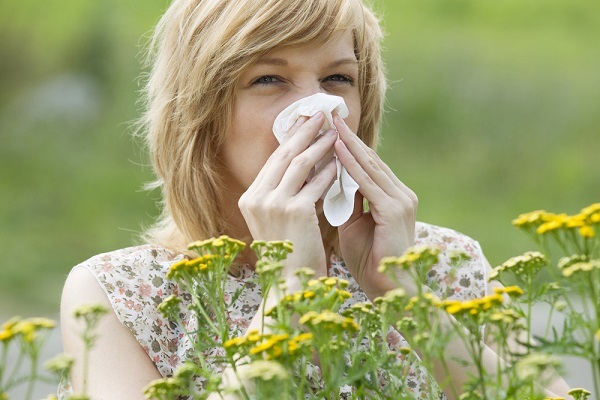 Tea tree oil contains terpenoids which account for its antimicrobial nature. These terpenoids effectively destroy the mites thereby preventing further spread of the disease. Take a piece of cotton wool soaked in tea tree oil and swab the skin. To get relief from the constant itching you can take a cool refreshing bath to which you have added a few drops of tea tree oil. Neem’s antibacterial and antifungal properties help to reduce the symptoms and severity of scabies. There are many ways by which you can use neem to get rid of scabies. Take some fresh neem leaves and crush them coarsely. Apply this thick paste to the affected skin. Leave it on till it dries completely and then wash it off. Do this at least once a day to see great results. Apply neem oil to the affected skin such that it penetrates well into the skin. The antimicrobial nature of the oil will kill the mites residing within the skin and thus prevent the further spread of infection. A combination of neem oil and turmeric paste when applied to the skin will not only provide you relief from the continuous itching sensation but also promote quick healing. Take a few zinc capsules and grind them to a fine powder along with a few drops of water. Now apply this paste to your skin and leave it on till it dries out completely. You can then wash it off. Having zinc capsules or foods rich in zinc will improve your immunity and help repair the damaged cells faster. Borax is highly effective against scabies mites. It contains hydrogen peroxide which destroys the outer coating of the mites leaving them to die. Add about a cup of borax to your bath water and soak in it for a time so as to allow the hydrogen peroxide to come in contact with the persistent mites. Continue this process daily for about 2 weeks or so to see positive results. 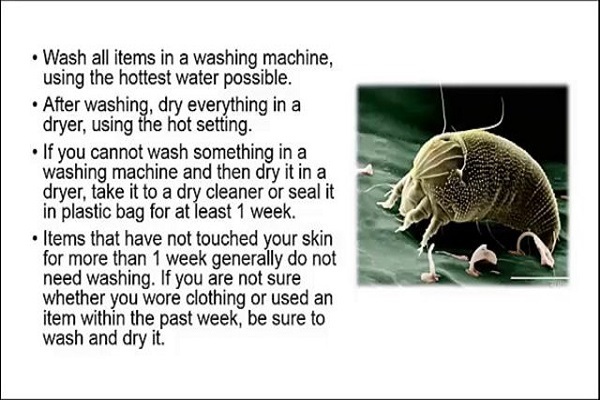 You can even wash your bedding and clothing in borax to prevent the further spread of scabies. Clove oil has good antimicrobial properties. Regular application of clove oil will dry out the blister and also prevent the recurrence of the infection. Since clove oil is very strong it is safer to dilute it by mixing it with olive oil. Mix about 10 drops of clove oil with olive oil and apply to the blisters. The oil will effectively kill the mites. Cayenne pepper is one fiery remedy against scabies. People with sensitive skin should avoid this form of treatment but the rest can go ahead with this remedy. Take a cup of cayenne pepper and add it to your hot bath water. Soak in the water as long as the water is warm. However, be careful as the water might get into your eyes. Lavender oil apart from regenerating the skin is good for treating scabies symptoms as it kills the mites responsible for causing scabies. Mix equal quantities of lavender oil and olive oil and apply to the rashes. Keep it for some time to allow the oils to penetrate the skin so that they kill the mites. You can even take a bath wherein you add a few drops of lavender oil to hot bath water. This will provide you relief from the itching. Garlic is a highly potent antibacterial agent which not only kills the mites responsible for the spread of the disease but also prevents infections from developing. Crush a few cloves of garlic and apply it to your rashes. Regular application of garlic for a few days will see the reduction of infections. You can also consume a few cloves of garlic daily to help the goodness act from within. Onions contains sulfur compounds which heal the skin while quercetin contained in it helps to soothe the skin. Grate an onion and apply it liberally over your scabies infected skin. You can apply this paste 2-3 times a day everyday till you see the symptoms disappearing. Aloe Vera gel proves very soothing when applied to an irritated skin. Cut open an aloe vera stem and scoop out the gel. Apply this fresh gel to your rashes and leave it for an hour. Repeat this process as many as 2-3 times a day. Your constant itching will get cured to quite an extent under the soothing effects of aloe vera gel. Rosemary can help stop the spread of scabies. Take a cotton swab and apply a paste of rosemary to the skin. 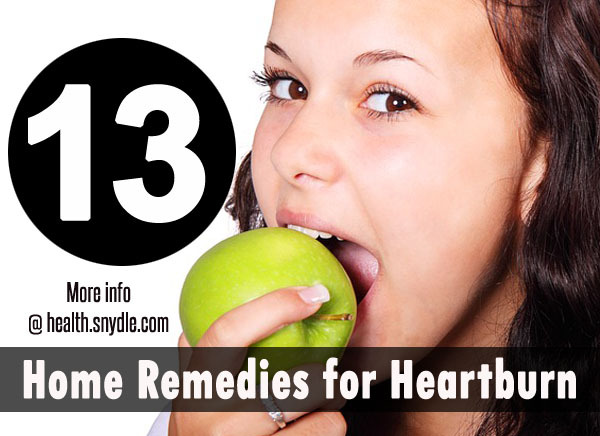 It not only decreases the pain but also prevents further breakout of secondary infection. You can prepare a mixture by pouring extremely hot water over rosemary leaves. Allow them to cool and then apply this solution to the skin as many as 3-4 times a day. Sulfur is a wonderful healing agent for the skin. To one tablespoon of sulfur add nine tablespoons of petroleum jelly and apply to the scabies affected area. The petroleum jelly will kill the mites while sulfur will act on the infection and heal the skin. Turmeric, a common kitchen ingredient is very helpful against ridding the body of scabies. It not only kills the mites but also destroys their eggs thus preventing the further spread of the disease. To about a teaspoon of turmeric add some neem oil and mix it well to make a smooth paste. Apply to the affected area and keep it on till the mixture dries. Wash it after a while. Regularly apply this mixture till you see the blisters drying up and the pain subsiding. Take one tablespoon of turmeric powder and add lemon juice to it to form a thick paste. Apply this paste liberally on your blisters and wait for it to dry. Wash it off normally. Continue with this method daily till you see improvement. This is a very simple remedy yet highly effective. To soothe highly irritated skin applying a towel dipped in cold water seems an easy solution. After keeping it for several minutes, apply calamine lotion to the area. Repeat this process many times during the day as and when you feel the itch getting out of hand. Since scabies is highly contagious, it is necessary to follow certain precautions so as to prevent the further spread of the disease. Wash your used clothes and bedding in hot, soapy water. This will kill the mites. Personal items which cannot be washed must be placed in sealed plastic bags and kept sealed for at least 5-7 days. Do not share your personal items with anyone. Avoid close contact with other people as this is the most important way by which scabies spreads. Staff of hospital must use gloves when dealing with patients suffering from scabies.